For more demanding customers, we have developed the REModul modular units that provide the highest level of comfort. 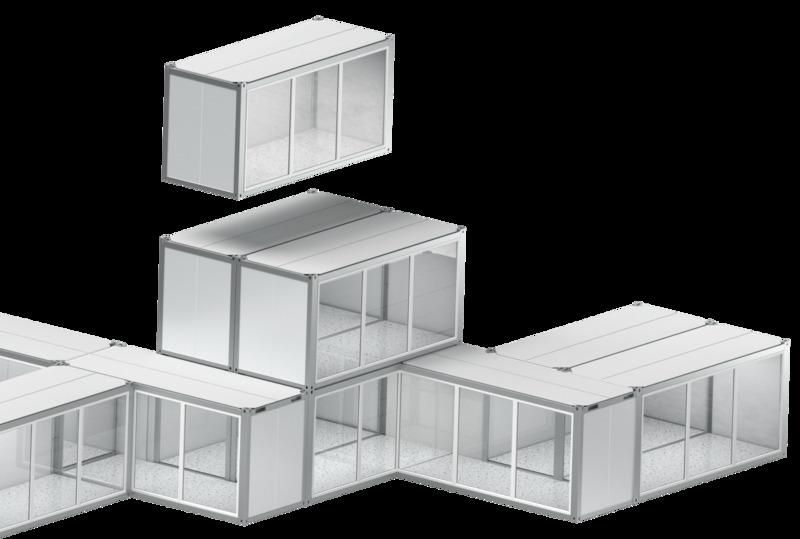 They are designed for the construction of high-performance upmarket modular buildings, as they are made of environmentally friendly materials, as well as conforming to low-energy standards. The REModul modular units provide comprehensive prefab modular solutions primarily for public buildings, such as schools, kindergartens and other public facilities, as well as commercial facilities and others. When manufacturing the REModul modular units, we use carefully selected, user-friendly and eco-friendly materials. An important advantage of our prefabricated modular buildings is their low-energy consumption, as the REModul modular unit consumes less than 25kWh/m2 of energy annually. If properly configured, our buildings may even reach the required standards of passive construction. The REModul modular unit contains modern mechanical installations – the under-floor heating and air-conditioning is provided using a heat pump, while the rooms are ventilated using heat recovery ventilation. Modular units also provide adequate airtightness of the rooms (n50 < 1 h-1) and fire safety (REI 60). In REM, we design comprehensive modular buildings boasting high-tech solutions, which meet the highest quality requirements as well as offering the highest levels comfort.